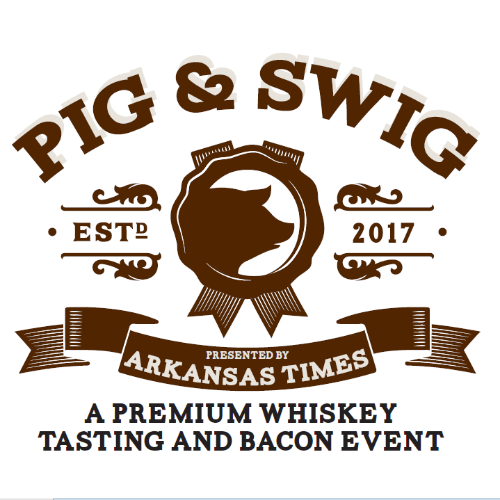 Arkansas Times and Knob Creek present the 3rd annual Pig & Swig, sponsored by Orion Federal Credit Union! Enjoy high-end whiskey tastings from Jim Beam distilleries along with a variety of pork-based delicacies from Central Arkansas's finest restaurants. Pig & Swig promises to be a fine, greasy-fingered night full of food, fun, libation, and live music. Early Bird tickets are $20. Tickets include admission to the event, whiskey samples and pork dishes. Beer and Manhattan cocktails are not included in the price of the ticket but can be purchased separately. Wristband Sponsor: Collins, Collins & Ray, P.A.